Countrywide protests serve as a reminder of the complexities law enforcement professionals face every day. Tragic events and demonstrations that can sometimes follow highlight the fact that there is a fine line between First Amendment rights to protest and speak out, on the one hand; and crossing the line to inflict damage on property, harm police, or endanger fellow citizens on the other. Public safety requires cooperation and respect between police and citizens alike. For this reason, among others, Los Angeles Police Department officers should be commended for their professionalism and dedication to all of our public safety. Los Angeles police officers responding to recent demonstrations in Los Angeles went into the situations with a strong element of the unknown. It is important to remember that the very nature of everyday police work requires that officers subject themselves to risk; this is of course heightened when crowds form, and when protests take a turn towards violence. During the demonstrations, LAPD officers detained hundreds of individuals without the use of force. These people were not detained because they were expressing their views or political opinion peacefully, but rather because they were interfering with others’ rights and refusing to disperse when given lawful orders and in some cases, inciting violence. It should be noted that these protesters were released in time to celebrate Thanksgiving at their homes. 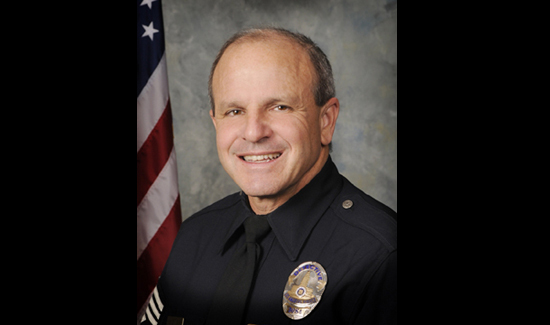 Through their courage in a time of tension, the LAPD serves as an example to all other law enforcement agencies. There will always be issues and decisions that every citizen may not agree with – it is simply the nature of who we are as Americans and as Angelenos. In these instances, we encourage all citizens to express their views. That said, we ask the citizens of this great City to help reduce situations that might create new risks – to themselves, to the City, and to the officers of the LAPD. The LAPD will continue to serve the Los Angeles community with respect, professionalism, and dedication. Together, we are hopeful we can create a safer, more peaceful community. At the end of the day, all police officers strive to serve and protect the public with the ultimate goal of going home to their families and loved ones in one piece. We are proud of L.A. police officers for reminding us all that they are the best police force in the world.